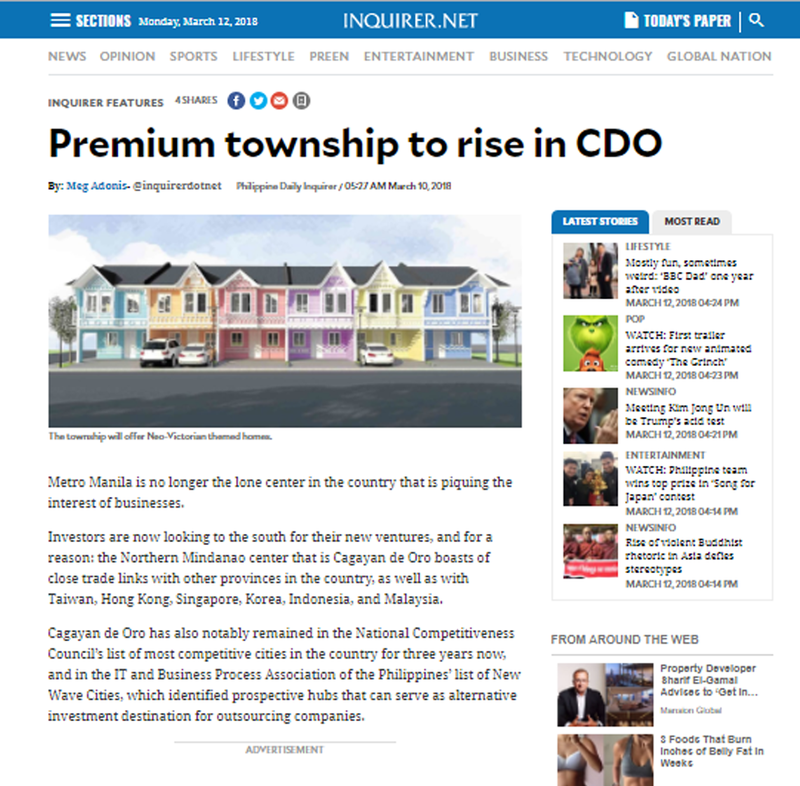 Premium township to rise in CDO featured in the Philippine Daily Inquirer. Metro Manila is no longer the lone center in the country that is piquing the interest of businesses. Cagayan de Oro has also notably remained in the National Competitiveness Council’s list of most competitive cities in the country for three years now, and in the IT and Business Process Association of the Philippines’ list of New Wave Cities, which identified prospective hubs that can serve as alternative investment destination for outsourcing companies.